A hard rubber ball designed for puppies but suitable for rats. 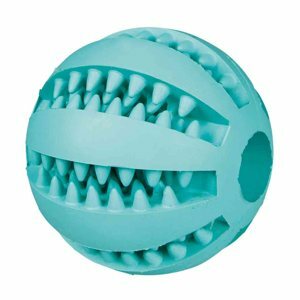 This toy has little teeth to hold small treats and a hole through the middle for more treats, it will keep your rats entertained at freerange time. Not recommended for use in the cage. Mint scented, 5cm.